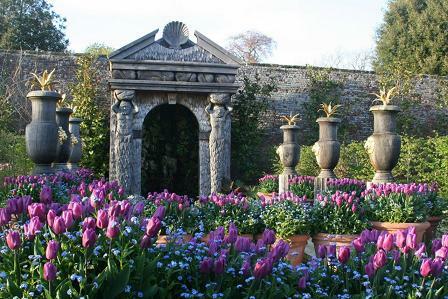 The Castle grounds and Gardens at Arundel, together with the keep and gatehouse, have been open to visitors since 1800 and the gardens since 1854. 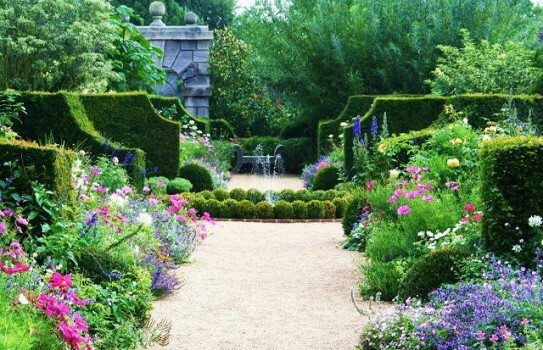 Today the stunning and inspirational walled gardens include the internationally renowned Collector Earl’s Garden, The Stumpery; the hot and cool Herbaceous Borders with contrasting foliage plants; and the Cut Flower Garden and Organic Kitchen Garden that supply the Castle with fresh fruit, vegetables and cut flowers. A rare lean-to peach house and vinery, originally built in 1850 by Clarke & Hope, has been restored to its former glory and houses exotic fruit and vegetables. The sheltered location of the gardens makes it possible for many of the tender perennials such as Cannas, Salvias, Bananas and Palms to remain in the ground throughout the winter. The Fitzalan Chapel has its own delightful garden planted charmingly in white, and there is also the Rose Garden, in what was once a Medieval bowling green, which has been newly planted with old-fashioned English roses. If you want to find places to stay near Arundel Castle Gardens, why not stay in one of our recommended hotels. Each hotel has genuine guest reviews enabling you to book from anywhere in the world in total confidence. 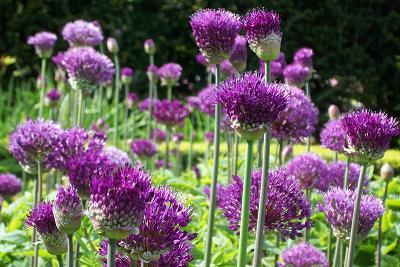 Arundel Castle Hotels - click here.